A collection of 44 monochrome postcards showing fishing scenes around Scotland in the early 20th century. 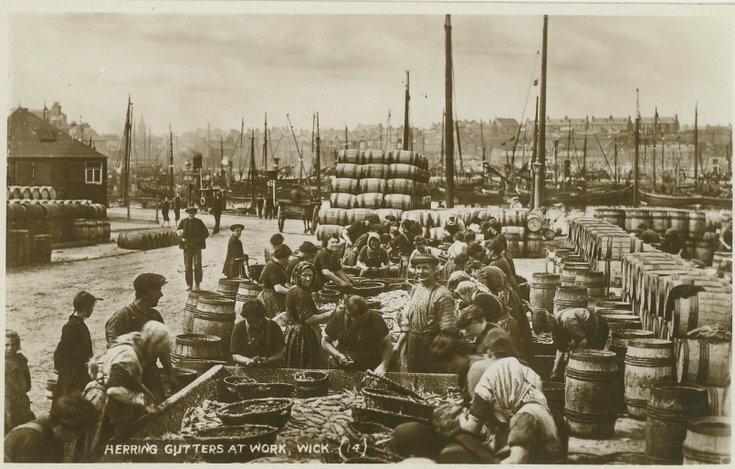 Monchrome photograph with the title 'Herring Gutters at work, Wick' showing three large trench style benchs full of herring with men and women on each side gutting herring. There are stacked fish barrels behind them with the masts of fishing vessels in the harbour in the background.